​Shout out to the folks who are sharing their love to make this festival happen! ​"LA DAMOS A LA LUZ"
Stephanie and John have been involved with just about everything for the Whippoorwill festival and this year Stephanie minds the books while advising the new cat herders. Stephanie and John are from northeast Ohio and have a small permaculture education farm which includes a plant nursery of medicinal herbs, perennial vegetables, and uncommon fruits. Red Beet Row is in Ashtabula County, OH, where they attempt to grow the world they want to live in. Through hands-on classes, tours, and demonstrations, they aim to show that any person, no matter how rich or poor, can meet all of their basic needs for free. They spread their love of plants through their off-grid nursery. Shop for plants or learn about their classes at www.redbeetrow.com. Melissa sports a double wide in a holler on the Peaks Mill side of Franklin County, Kentucky where she loves to let things go wild and find her medicine. This is the third year organizing with the fabulous crew of Whippoorwill and Melissa has moved up to herding cats as we like to call it. Most likely you may have met her if you work traded for the festival in the past few years, or maybe have seen her running around like she knows everything... although she'll be the first to tell ya, "I've learned how to do less of that, thanks to all in this amazing organizer cohort and their acceptance of me, and I'm so happy to be involved. Organizing this event has given me exponentially more than I have given. I heart you Whippoorwill!!" And we heart you right back Melissa!! Peter is excited to be returning for another year of helping organize the Whippoorwill Festival! From growing up in Washington, DC suburbia, Peter continues to find new ways to incorporate earth-friendly skills and principles into his daily life. After attending Whippoorwill for two years and then work-trading his third year, Peter joined the organizing collective in 2017, helping mainly with Work-Trade Coordination and the Participation Station. This year, he is taking over the role of 'cat-herder'... the organizer tasked with helping facilitate the other organizing teams and fill in gaps in the planning process, should any arise. "Wild Bill" has over 40 years of experience teaching as an environmental educator and "nature detective." He is the founder/director of High Adventure Wilderness School. He has cruised and raced sailboats over 40,000 miles of ocean in the Atlantic, Caribbean, and Pacific, been featured on Kentucky Educational Television and in the Kentucky Everyday Heroes books, and has received numerous awards for his teaching, works, and volunteerism. He has a passion for teaching outdoors, canoeing, sailing, birdwatching, writing, and wilderness adventures. He lives off-grid in the eastern Kentucky woods near Red River Gorge in a homestead he built surrounded by organic gardens and orchards, numerous ponds and streams, and thriving forestlands. He quietly tries to be a living example of what he teaches. Erica has always been drawn to the intersection of natural and human communities. She has training in herbalism, first aid, mushroom cultivation, and is an avid handicrafter, gardener, and fermenter of many things. ​During a five year stint living in an intentional community in Asheville, North Carolina, Erica further developed her skills, as well as an interest in closing the gap between people and their environment. For the past several years she's been focusing her efforts towards building self-reliant, decentralized communities, and helping individuals to live closer to the earth. This is Erica's third year working with Whippoorwill and has worn many hats, currently scheduling our wonderful workshops. As a community organizer, Erica has also worked with: Amazon Mycorenewal Project, The Radical Mycology Convergence, Organic Grower's School and The Firefly Gathering – all of them sharing skills designed to empower individuals and communities while working towards harmony with our shared Earth. Alice is the co-owner/operator of Plowshares Home Improvements (PHI) with her otherwise Partner In Everything (PIE), her David. They are to be married May 6 this year! She's mothering Ana and Severo, age 7 and 8, who are already counting down to next year's Whippoorwill with their neighbor-friend Lydia. She has been gathering herself up to launch a new project, a recovery home which combines skills training in the building trades and an entrepreneurship curriculum with the opportunity for resident teams to renovate and flip run-down houses and invest the proceeds back into the program and into their new lives. Before this round, she worked on her mother's farm, and before that for a refugee resettlement agency and an apartment developer in Houston, where she also tried to keep up with the women running the Norteño Mexican multigenerational family home where the kids started their trip on this Earth. 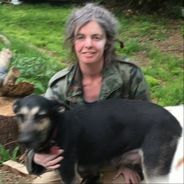 She loves plants and animals, having almost convinced the yard police in Paris to stop issuing violations for her tall productive polyculture and her roaming dogs. She is excited to be a part of the Outreach team for Whippoorwill 2018, a great year. Stephanie is a jolly, head-strong Aries who dabbles in herbalism, astrology, and admiration for the highs and lows of the human condition. Currently calling Louisville, Kentucky her home, she is a freelance consultant and technician at Doc Electro, a custom tube amplifier build and pro audio repair shop. After attending the festival last year, she knew she found a second family among the amazing attendees and organizers and immediately signed up to volunteer for following years. Stephanie views the Whippoorwill festival as a beautiful example of family-friendly people freely and openly coming together to share their love for nature, love for each other and life lessons and skills. This year she is acting as webmaster and part of the outreach team, hoping to find a good place for the obnoxiously loud and positive voice of hers! With 20 years of teaching elementary students in public schools and several years of homeschooling her own children, Tigh is excited to be part of the Whippoorwill organizing team this year. Having a strong love for the outdoors, Tigh finds a healing power in nature. It is her goal to combine the knowledge of primitive skills with modern technology to repair years of damage done to our earth. Like kids, she has learned to question everything and constantly is asking, "Why?" Over time, she is attempting to unlearn and rewild. Tigh sees the future of our world resting in the hands of our children. Our youth has a huge task at hand! They need guidance as they face the unique challenges of choosing a " path less traveled." Tigh hopes to give earth's future caretakers as many tools as possible to help them on their journey. She hopes to see you soon!